June, 12, 2016 /LGBT News/ A gay nightclub in orlando, Florida, was the scene of the worst terror attack in U.S. history since 9/11. 49 people were killed inside the Pulse club and at least 53 were injured, police say. The gunman, Omar Mateen, 29, of Ft. Pierce, Florida, called 911 around the time of the attack to pledge allegiance to ISIS and mention the Boston bombers, according to a U.S. official. "It appears he was organized and well-prepared," Orlando Police Chief John Mina said early Sunday. The shooter had an assault-type weapon, a handgun and "some type of (other) device on him." Mateen was killed after a shootout with Orlando police. President Barack Obama in a news conference said the shooting is "a sobering reminder that attacks on any American - regardless of race, ethnicity, religion or sexual orientation - is an attack on all of us and on the fundamental values of equality and dignity that define us as a country." 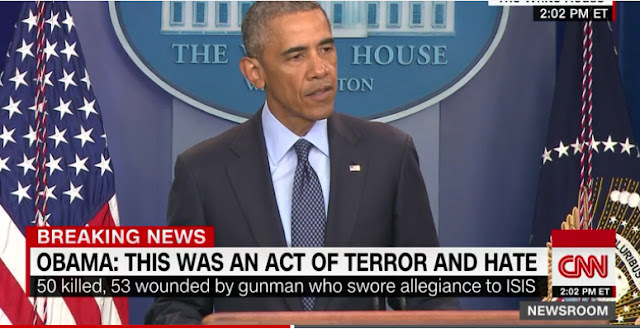 "We know enough to say this was an act of terror and act of hate," President Obama said. While the violence could have hit any American community, "this is an especially heartbreaking day for our friends who are lesbian, gay, bisexual or transgender," he added. While we still know very little about this morning’s brutal massacre at Pulse in Orlando, this terrible tragedy is a reminder of the threat of violence against LGBT every day, and that we must always remain vigilant. Finden Sie die perfekte kurze Abendkleider mit unseren spotlight-Diebstahl Stile. MissyDress.de hat alles, was Sie für prom fabelhaft aussehen müssen. Erstaunliche Auswahl an Kleidern für prom. Finden Sie das perfekte kurze Kleider für unter $ 100! I miss President Obama. Hope there would be nothing like this in the future. LGBT community is threaten everyday :/ They are not wrong! "It appears he was organized and well-prepared," Orlando Police Chief John Mina said early Sunday. Before you want to use Website Development Services or Jasa Pembuatan Website. we will explain some important terms as a basis for your education if not known. The web site (English: website is an interconnected web pages which are generally located on the same servant contains a collection of information provided by individuals, groups, or organizations. Fire extinguisher or Tabung Pemadam Api is an active fire protection tool that is used to extinguish the fire or control small fires, often in emergency situations. Fire extinguishers are not designed for use on fires that are not controlled, for example when the fire was already burning ceiling. Generally, fire extinguishers consist of a high-pressure air tube containing a fire extinguishing agent. A fire extinguisher or Alat Pemadam Api is an active fire protection tool that is used to extinguish the fire or control small fires, often in emergency situations. Fire extinguishers are not designed for use on fires that are not controlled, for example when the fire was already burning ceiling. Generally, fire extinguishers consist of a high-pressure air tube containing a fire extinguishing agent. A fire extinguisher Or Tabung Pemadam Api is an active fire protection tool that is used to extinguish the fire or control small fires, often in emergency situations. Fire extinguishers are not designed for use on fires that are not controlled, for example when the fire was already burning ceiling. Generally, fire extinguishers consist of a high-pressure air tube containing a fire extinguishing agent. Herr Cashman, ich danke Ihnen für diese Information. Friv Kizi Juegos Friv 2 Wir danken aber auch Ihnen Juegos Friv 2.0 Juegos Friv 2019 Twizl liebe Leserinnen und Leser, fur Ihr Interesse und Ihre Mitwirkung Friv 20 Yepi Friv 3 die Informationsgesellschaft in der Schweiz voranzubringen. Very nice blog thanks a lot for sharing. This is a old news because new president is trump in USA and He very hates to terrorist, personally I will give thumbsup to Trump Government. I like his attitude. Cara bermain judi online dengan mudah. bandar togel sgp, hk & sydney terpercaya indonesia. Ayo kita Nonton Film Semi Online Korea sampe pagi. In the wake of perusing your article I was stunned. I realise that you clarify it exceptionally well. What's more, I trust that different peruses will likewise encounter how I feel in the wake of perusing your article. 168 comments so far. What do you think?